The Sanford Art Walk season is officially underway! Taking place on the fourth Friday of each month, the event celebrates local art, music, and culture. It provides an opportunity for local artists to showcase and sell their works. Each month features a different theme and artists are invited to enter in their submission throughout the 2013-2014 season. Upcoming themes include “Painting Dead”, “November Rain”, “Animals”, “Seminole’s Got Artalent”, and “Motion and Emotion, Love Artfully”. 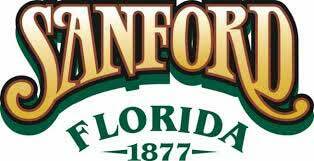 A jury panel judges all the entries for each month, and hangs a curated exhibit at the Historic Sanford Welcome Center. The works will remain in the center until the following Art Walk and can be sold with a small commission going to the Historic Sanford Welcome Center. The Fourth Fridays Art Walk brings a lot of artists and members of the Sanford and Central Florida community out to enjoy the artwork at the welcome center. Awards will be given out to the “Best in Show”, which is chosen in advance by a panel of 2-3 judges, and “People’s Choice”, which is chosen by attendees of the event. The awards come with a $150 and $50 prize, respectively. The event also includes walking tours of various art venues throughout historic Sanford and is accompanied by live music and other activities. Fourth Fridays Art Walks are held from 6:00pm - 9:00pm and are free to attend.